Thanks to the Chicago Park District, Sunken Garden Park recently had a new tree planted between the benches at Sunnyside. 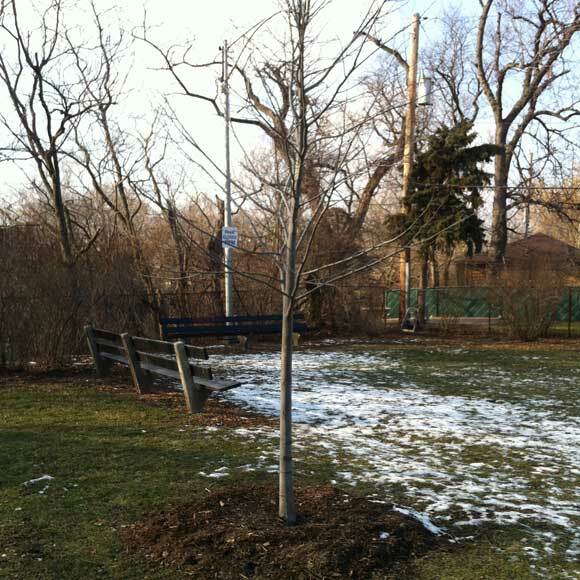 A new American Linden (Tilia americana ‘Legend’) was planted in late December by the Chicago Park District. The receipt of this new tree was in response to a request by the Horner Park Advisory Council, working with Friends of Sunken Garden and the Ravenswood Gardens Homeowner Association (RGHA). Special thanks to Barb Wood of the Chicago Park District for arranging for this planting. 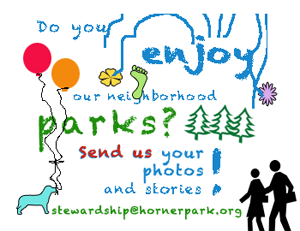 The Horner Park Advisory Council would like to encourage all who care about Sunken Garden Park to work with us on crafting a plan for more improvements in the park. We meet the first Monday of every month at Horner Field house at 7 PM.